Constructed in a single piece, alloy folds over the top and front panel of the chassis with ventilation on each side. 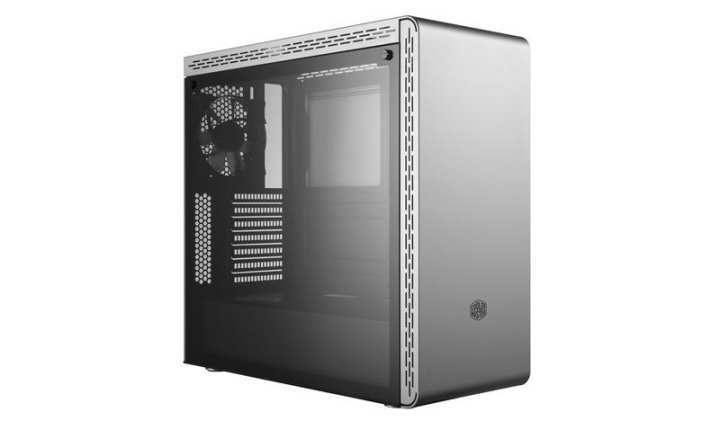 Showcase your build through the tinted, tempered glass side panel. The 15 to 23mm width of space behind the mainboard tray gives you plenty of cable management options to keep your build clean. The MasterBox MS600 comes pre-installed with a single 120mm fan in the rear. The front supports up to two 120mm or two 140mm fan(s), and up to a 240mm radiator. The rear supports a single 120mm fan and a 120mm radiator. The MasterBox MS600 case supports CPU coolers up to a height of 160mm, graphics cards up to a length of 400mm, and power supplies up to a length of 180mm.